Engraved Admiral Optical Crystal Yacht Award. Available in 3 sizes, 195mm, 230mm and 275mm high. 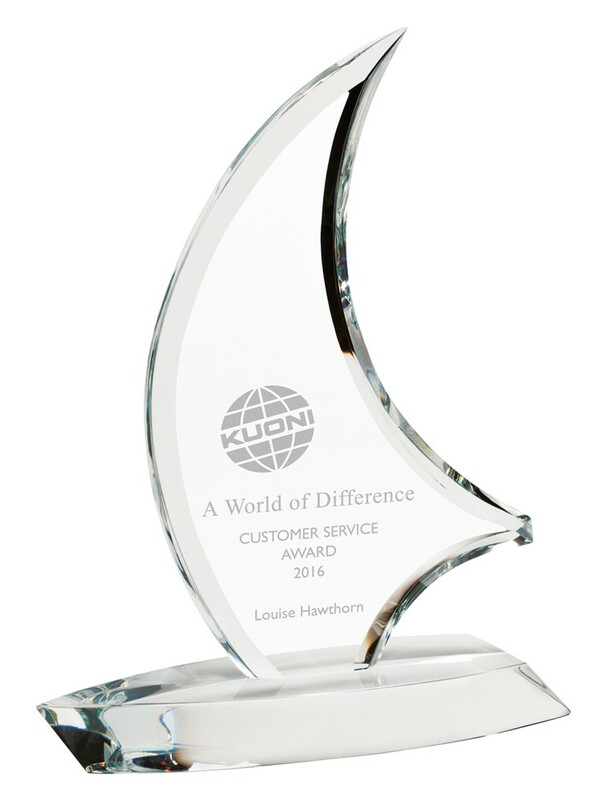 Solid optical crystal sailing trophy, complete in a presentation box.